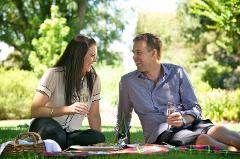 Enjoy a Paddle for picnic along the Ovens River with local produce and local Prosecco sparkles. Please come and enjoy a Kayak along the Ovens River from Tarrawingee or Everton to Wangaratta , it is a great downstream paddle adventure. This is a great activity for all abilities, bring a sense of adventure and be prepared to have some relaxing fun on one of the best stretches of the Ovens River near Wangaratta. Overnight kayaking is an amazing experience in the North East high country & along the Ovens River. Paddle by day camp at night with a fire and a few drinks. Bring your own kayak and equipment and River Tribe will take you and your gear upstream.